Benchlearning System Model for Latvian Municipalities. 1. draft. The proposed model is the final document of the first stage of the project “Smart Governance and Performance Improvement of Latvian Municipalities”. On the basis of the experience of the Norwegian Association of Local and Regional Authorities (KS) and the Association of Polish Cities, evaluation of current and forecasted development trends of the Latvian municipalities, as well as public discussion in several forums, a solution is proposed offering detailed solutions that can be verified during the implementation of the project. During the implementation of the project, a benchmarking data base is elaborated; the data base will enable application of quantitative methods and the best practice of the world in the governance of the municipalities, it further will be used for a range of additional activities with a positive impact on the social and economic development of the municipalities and the State. The second main activity – elaboration of cooperation network on the basis of benchlearning concept. In the cooperation network, the representatives of the municipalities help each other by giving advice, discuss different solutions known in Latvia and in the world. During project implementation, the skills of network coordinators to organize and serve the networks are developed. Benchlearning system is established and applied successfully in Norway; within this system, the municipalities receive information from the benchmarking data base and establish networks in which they select appropriate solutions for their further development on the basis of the received information and analysis of the experience of other municipalities. KS has successfully passed on its experience to several states, Poland being especially successful example among them. To take over the experience of the Norwegian and Polish municipalities and adapt it to the circumstances in Latvia developing further the contribution of the Latvian Association of Local and Regional Governments (LALRG) and the Ministry of Environmental Protection and Regional Development (MEPRD) in improvement of the performance of the municipalities, development of the most appropriate system model is necessary for Latvia. Politicians having won the municipal elections are fully entitled to accept or reject performance enhancement activities. Thus, application of benchlearning totally depends on the understanding and attitude of the politicians. According to the public choice theory, the politicians will choose to implement the system only when they will be certain about positive impact of innovations on electorate and reliability of the applied procedures. Due to these reasons involvement of the politicians in decision-making regarding the contents of the plan for the benchlearning system is decisive to ensure sustainability of the system. For making a well-reasoned decision, the politicians have to be informed about all stages of the project – from the beginning to the end. The benchmarking idea is borrowed from KS; on transforming the idea to fit the circumstances in Latvia, ongoing consultations with KS experts take place. Visits to the Norwegian state administration institutions and municipalities are ensured; Norwegian and Polish experience is analysed during the visits. The KS experts participate with their reports in the main events of this activity, they warn against possible mistakes and risks. The State Regional Development Agency (SRDA) is experienced in development and application of the indicators for regional development; it has experience in maintaining the data bases for storing the indicators and in working with data bases with user access rights of different levels. Ongoing consultations will take place while the model is being elaborated. During the implementation of the project, direct public benefits are expected – the municipalities that will undertake pilot activities will improve their performance; this will be verified against the performance indicators envisaged in the project to measure the benefits of inhabitants. The optimization of data bases and organization of the cooperation networks is the basis for the sustainability of the project. It is envisaged to approbate and compare different types of acquisition of data, to approbate and compare different network coordination methods. As a result, the most appropriate solution will be chosen in terms of quality, time and costs; the solution will be chosen by the municipalities by evaluating the results and developing the model for further development of the system following the completion of the project. The sustainability of the project will be facilitated by the activity “Enhancement of the local government network”. The activity is directed at making as qualitative decisions as possible during implementation of the project and maximum publicity, thus gradually rousing interest and involving more and more politicians. The involvement of state administration institutions is of the same importance; during the project it will be proved that the state administration institutions can obtain significant information regarding the status of sectors from the benchmarking data base and get ideas for improvement of the work of the state administration institutions from the descriptions of the experience of the municipalities in the benchmarking data base. The cooperation networks to be established will not meet the long-term strategic objectives of LALRG if stable foundation is not established for sustainable development of the cooperation networks and benchmarking data bases after completion of the project. interest of the Government in use of benchmarking data base, including setting of performance indicators to be achieved by sector policies. The direct target groups of the project are the politicians and employees of the municipalities, the indirect target groups are the inhabitants of the municipalities, and the state administration institutions, visitors of the municipalities and business people working within the territories of the municipalities. The politicians of the municipalities need political will to implement changes; it will be achieved by evaluating the experience of Norway and Poland, actively participating in the first network (aimed at strategic governance) and other networks according to their interest. The employees of the municipalities need understanding of the strategic planning process, as well as the skill to apply the conclusions obtained within benchlearning networks; they should further use benchmarking data base for solution of issues of their sector. The respective skills will be developed both – by participating in the network meetings and other publicity events and by studying 2 manuals after completion of the project. The employees of the state administration institutions need understanding of benefits of cooperation in acquisition of the data and a skill to use benchmarking database. The skills will be developed both – in mutual cooperation process during the project implementation and by participating in publicity events. The inhabitants need increasing opportunities to impact decisions of the municipalities, as well as more qualitative services provided by the municipalities. Such opportunities will increase during the project implementation when the municipalities will find innovative solutions for improvement of the work for the benefit of the inhabitants during benchlearning process. As the inhabitants, from the view of marketing strategy of the municipalities, are the most significant and largest segment of the market of the products of the municipalities, the implementation of strategic governance will aim the activities of the municipalities at the priorities of the inhabitants. The business people require positive attitude, reduction of administrative burden and cooperation with the municipalities in providing for resources (including human resources and infrastructure). These capacities of the municipalities are included in the thematic networks that will ensure involvement of business people and development of businesses in the territories included in the project. Visitors of the territories are people from other territories who work and study in the municipalities, and tourists. Both groups usually are in the centre of the marketing strategies of the municipalities, therefore it is envisaged that these indirect groups will enjoy the positive impact of the project as well. The use of municipal funding, property and human resources is efficient if a municipality according to its purpose maximally takes into account local peculiarities and skilfully implements human resources policy. In some municipalities, management is based rather on intuition than on evidence and analysis of the evidence, mostly approbated and traditional solutions are used rather than innovative ones. These municipalities do not make full use of fiscal and administrative autonomy options that are not forbidden by law, they frequently copy the practice established by the government institutions. As a result, existing human resources are not optimally used, there are territories that fall behind in terms of economic and social development from their neighbouring territories; this is one of the factors that causes depopulation of the territories. A vicious circle develops – insufficiently innovative activity of a municipality is a reason for reduction of human resources in quantity and quality, the latter in its turn does not facilitate efficient development activities. Less developed territories are unable to get out of the vicious circle and fall behind even more. To resolve this problem, LALRG will develop a benchlearning system which would facilitate smart governance of municipalities. It will be a tool to improve the performance of municipalities, thus enabling overcoming of negative trends and involving local politicians and staff in innovative governance process. On the basis of the experience of the project partner – KS – the issue will be solved by elaborating benchlearning system. The system stimulates bottom-up initiative, makes local politicians and employees more active to implement their commitments to inhabitants of the territory. This system facilitates evidence based governance and provides information on the experience of the municipalities of the world in terms to solution of different issues. Benchlearning is a learning process that helps improve practical performance through comparing and sharing knowledge, information and occasionally resources. Benchlearning is an active, long-term process that has been found as one of the most efficient tools in organizational change process. The main benchlearning instrument is the cooperation networks of the municipalities. The networks thematically are related to the main LALRG activity groups, supplementing the existing political and administrative structure of LALRG. The goal of the benchlearning within each network will be taking over of the best practice from other organizations adapting the relevant experience to the specific circumstances of the respective municipality. It is not less important to learn from mistakes made by others and avoid them in the process of the changes of an organization. Benchlearning will be based on the evidence provided by the benchmarking data base. The benchmarking method is a governance process in which organizations evaluate their procedures and activities comparing them to the best practice in the organizations of similar type. The benchmarking becomes a point of reference to improve performance of a municipality. In Latvia (and also other states), the attempts to govern municipalities or state administration institutions based on evidence encounter a significant problem – it is hard to measure approaching (not approaching) the outcome. The data of statistics or budget hardly describe the goals which the politicians of the municipalities or the state strive to achieve. Mostly, measurable criteria can be applied to the outputs at the best, but the results of policy (outcome) and impact of the policy can be described very rarely. Absence of direct performance indicators to the results and impact to great extent is an obstacle for implementation of rational, target-orientated governance in the municipalities. As the approaching to the outcome cannot be measured, it is impossible to establish whether the policy leads to the intended target. As the impact of the policy cannot be measured, it is impossible to establish whether the chosen policy has been a success. In absence of such indicators, efficient personnel motivation methods – dependent on the result of the work – cannot be implemented. Thus, human and material resources are not efficiently used to the benefit of the inhabitants. To eliminate this shortcoming, benchmarking data base will be elaborated; the purpose of the data base will be to collect the data of municipal policy outcomes and impact and to develop appropriate performance indicators. The benchmarking data base will ensure benchlearning process. Each network will deal with the most topical issues of the municipalities at the relevant moment; the task for data acquisition, calculation of indicators and description of the experience of the municipalities will be prepared. When the task is accomplished, a network moderator will draft the summary of materials to be discussed; it will be available prior to the meeting. After presentation of the analysed materials and data, an analytical discussion will take place; the participants of the discussion will use the ideas of the discussion to improve their work. The ideas acquired during the benchlearning process will be further used for the development and improvement of the strategies for the activities of the municipalities. Both – immediate improvement of work (implementing innovative work methods) and purposeful action aimed at implementation of municipality strategies will have a positive impact on the inhabitants, visitors and business persons – the indirect target group of the project. The ministries are also the indirect target group of the project. 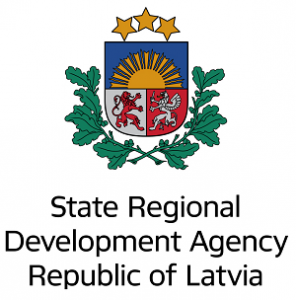 The performance indicators will be valid for the ministries of the respective sector; they will obtain additional information on the success and problems of the sector in the administrative territories of Latvia. The benefits of the ministries from the benchmarking data base will be the basis for mutually beneficial exchange of the data. The selected means for achieving the goal of the project – development of the sustainable benchlearning system during the whole impact period of the project (implementation and further development following the completion of the project when more and more municipalities will start using the system) – will directly strengthen the capacity of the municipal institutions and commercial companies, but planned evidence based human resources management (when performance indicators will be applied for evaluation of the work and motivation) – will directly influence development of human resources. The activities of the project will facilitate seeking for innovative solutions and implementation of such solutions in each involved municipality. It complies with one of the three EU 2020 priorities – innovative growth – as it is the municipalities that can plan and facilitate local innovations best (provided that there is appropriate information base) thus ensuring innovative variety. The goal of one of the benchlearning networks – promotion of strategic governance and entrepreneurship – will supplement one of the tasks of the National Reform Programme 2020 – “Strengthening of Capacity of Municipalities to Attract Companies and Investments”. 3) the priority “Growth for regions”, the direction of the activity “Promotion of economic activity in the regions: unleashing of the potential of territories”, – tasks , ,  and , the direction of the activity “Availability of services for creating more equal work opportunities and living conditions” – tasks , ,  and . The benchlearning system to be developed within the project will enable seeking for optimum and innovative solutions for the municipalities in all above mentioned tasks. The activities of the project comply with the mission and the third goal established at the Foundation Congress of LALRG in 1991 – to help the municipalities to increase their capacity in provision of services to their inhabitants. Since 1995, LALRG passes a strategic document “Guidelines for Development of Latvian Municipalities” after each elections of the municipalities. Currently, version 5 of this document is in force, it was approved at the 21st LALRG Congress in 2010. In the guidelines (see www.lps.lv, as well as the monograph of M.Pukis (M.Pūķis) „Pašu valdība”, LPS, 2010, 492-498), the necessity to strengthen the performance capacity of the municipalities in all areas of the benchlearning networks is emphasized. It is envisaged that such task will remain in the next guidelines to be approved at the 25th LALRG Congress. Since 1991, the LALRG Congresses constantly pass political resolutions addressed not only to the Government and the Saeima, but also to the municipalities inviting them to introduce different improvements in the direction of the benchlearning networks (see www.lps.lv ). The cooperation network is established by voluntary involvement of the municipalities in the network activities. In a single network, 7-9 municipalities are involved; they set an aim to improve their work in a certain area of responsibility of the municipality. Each network has a network coordinator (a LALRG employee) who serves the participants of the network. The system of the cooperation networks is one of the products of the project that shall function at least 20 years. During implementation of the project, approbation of activities and different solutions take place; the conclusions will serve as basis for deployed functioning of the networks following the conclusion of the project. The structure of the networks is coordinated with the structure of LALRG that has been stable since the middle of the 1990-ties, and it does not change in terms of guidelines. LALRG positions are prepared in five permanent committees, as well as in temporary work groups the members of which are approved in the meetings of LALRG Council; the core of the groups is composed of the politicians of the municipalities. Unlike many associations of municipalities of other states, LALRG widely involves the administration of municipalities and representatives of the municipal companies in its work, if the representatives wish to actively participate in the process of development of a common policy for the municipalities. If any of the resolutions is passed in the permanent committees by voting, then at least 2/3 of the votes shall be those of the politicians. education and culture (complies with the theme of the Education and Culture Committee). The network complying with the theme of the Municipalities and Territory Development Committee is not developed within the project. Such choice is based on the fact that cooperation of this permanent committee with other Norwegian financial instrument project is intended; the project is implemented by MEPRD and it is dedicated to promote regional development. After completion of this project, cooperation networks will be established also in this area. Interconnection with the political structure is of fundamental significance. The policy of the municipalities directly refers to the new legislation of the state and solution of practical issues encountered by some municipalities. It is expected that the discussions within the cooperation networks will promote passing common political resolutions of the municipalities and the latter will increase the networks. Based on the experience of KS and the Association of Polish Cities, the number of participants (municipalities) in the cooperation networks and voluntary participation principle was chosen. The method similar to that used in Norway and Poland will be approbated by implementing nuances pursuant to cooperation traditions among the Latvian municipalities. The theme of the first network – strategic governance – is pre-determined and selected with the aim to promote qualitative changes in the governance of municipalities. With fixed amount of resources, better results will be achieved by a municipality that can better make use of local circumstances and local human resources. The deputies representing interests of collective (territorial) communities need resources for implementation of their specific ideas and concepts. This is the only way to reach desired variety and make better use of opportunities. Such resource is the strategic governance method. To implement the method, it is necessary to take over experience and develop forum for creation of innovations. The cooperation networks are intended the role of the forum for this purpose. By distributing the experience and knowledge regarding strategic governance it is intended to gradually convince all municipalities of Latvia about the opportunity to seek for their own specific advantages and select own methods to improve life standard in their territories. The basic task of the firs network: to develop a medium-term strategy for each involved pilot municipality. At the end of the project, each of the pilot municipalities drafts the text of the strategy, as well as develops and launches strategy governance system. 9) discussion regarding two research themes that will help in development of marketing strategy method in Latvian municipalities. It is expected that as a result of the above discussions, the pilot municipalities will voluntary develop and implement innovative municipality governance methods that will serve as positive models for other municipalities that are not involved in the pilot projects. The impact of the relevant innovative solutions on the success of the municipalities will be measured by use of measurements available in the benchmarking data base. There will be a possibility for 18 municipalities to apply for participation in the second network. There will be two sub-themes selected, and all of those 18 municipalities will be grouped in accordance with the sub-themes. 9) Development opportunities of municipal companies in the utilities sector. 4) Solutions should be considered taking into account their effect on available resources and restructuring possibilities of the local economy. In order to ensure compliance with the above principles, the pilot municipalities should be represented not only by the administration members or the heads of the municipal companies, but also by politicians, preferably by municipal council chairmen or their deputies. It is therefore recommended to have a number of municipal representatives in each meeting (for example, a chairman of the council, a manager of the respective department or head of the company, a local expert). As a result, there should be an improvements plan which implementation will help the municipality approximate some of its strategic goals. There will be a possibility for 18 municipalities to apply for participation in the third network. There will be two sub-themes selected, and all of those 18 municipalities will be grouped in accordance with the sub-themes. 15) Organization of inter-institutional cooperation within the territory of the municipality. Like in the case previously described, the same principles and similar requirements should be complied with when representing the pilot municipalities in the network meetings. It is not allowed to have a one-sided approach, stating the quality of social work or health care as the only criterion, failing to take into account general socio-economic impact. There will be a possibility for 18 municipalities to apply for participation in the fourth network. There will be two sub-themes selected, and all of those 18 municipalities will be grouped in accordance with the sub-themes. 11) Teaching staff motivation methods. Like in the case previously described, the same principles and similar requirements should be complied with when representing the pilot municipalities in the network meetings. It is not allowed to have a one-sided approach, stating the quality of education or culture as the only criterion, failing to take into account general socio-economic impact. 1) Specifications define the scope, time and criteria of research, and are used for work acceptance (economically the most advantageous proposal). 2) Specifications define requirements for scientific work experience of the researcher on the selected theme, as well as the minimal knowledge on the European Charter of Local Self-Government and municipal work organization in Latvia. 3) Specifications include a detailed range of issues to be studied providing a description of municipal achievements in the sub-sectors of the sector “residents”, sub-sectors of the sector “visitors”, and sub-sectors of the sector “entrepreneurs”. 4) These requirements apply to the competition with pre-selection. Applicants which failed to make research of the respective profile, and applicants which failed a test on the knowledge of municipalities are excluded during initial selection. 1) Performance indicator system describing the work of the municipality within the area of social work and health care. 2) Performance indicator system describing the work of the municipality within the area of public utilities and housing policy. 3) Performance indicator system describing the work of the municipality within the area of education and culture. 4) Acquisition of performance indicators describing the work of the municipality from the traditional data of the annual budget and their usage possibilities in preparing the medium-term budget. 5) Performance indicator system describing achievements of the municipality within the sectors of residents, visitors and entrepreneurs. LALRG experts-network coordinators are responsible for thematic benchlearning network development and organization process, for preparation of informative and study materials of the network meeting, for data to be accumulated and analysed in the benchmarking data base compliance with the project goals, and for decisions made by municipal politicians involved in the work of the network. Network coordinators prepare informative materials for all thematic meetings, act as discussion moderators in the meetings, prepare decision drafts for the network meetings, int.al., define the themes to be discussed and resulting tasks, as well as specify the general opinion of the network participants on scientific research to be carried out. Within the framework of this activity, they perform in-depth research of their theme during their second trip to Poland and Norway. The agenda of the network meeting should be planned in advance. As for the first network, it is made with a goal to approbate marketing methods used in strategic management of the municipality. Regarding the rest of the networks, participants of the network select the goal and the range of issues to be discussed. - possibilities to supplement the existing information with that one obtained from municipalities, public authorities, statistics, or by means of independently organized surveys are analysed. On the basis of the analysis, the network coordinator shall conduct consultations with the relevant ministries (other public authorities) on possibilities to get information at their disposal.If necessary, LALRG political leadership should be involved in negotiations. Mainly, data exchange is organized on the basis of mutual benefit – ministries and other relevant authorities receive in return information useful for achieving the goals of the central government. Information that can not be obtained from public authorities is collected from municipalities. The chairmen of the pilot municipality councils are responsible for preparation of the relevant information, and a local expert working within the framework of the project provides for data collection and transmission to the benchmarking data base. Other municipalities are asked to collect and send data to the data base on a voluntary basis. Consulting the benchmarking data base administrator, appropriate information request forms are developed, and information collection for the benchmarking data base is organized. In between the network meetings, it is a duty of the network coordinator to collect good and bad Latvian and foreign municipality experience on dealing with the current issues. The pilot municipalities should summarize the structured experience descriptions, this is done by the local experts working within the framework of the project. 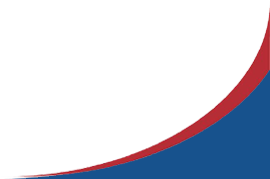 Other municipalities are asked to collect and send experience descriptions to the benchmarking data base on a voluntary basis. Responsibilities of the network coordinator include collection of the respective experience descriptions also form municipalities and their associations outside Latvia, as well as from the Internet resources.Non-structured information is structured and entered into the benchmarking data base. 4) before the meeting, materials to be published together with the meeting agenda should be published in the project website. Before the regular network meeting, participants prepare a short report on their previous experience in dealing with the issues under consideration. Network meetings may be held in the LALRG hall, as it is possible for employees and other interested persons (representatives of the ministries, journalists, scientists, students) to join the meeting online and ask their questions. In this case the open part of the network meeting is held online. Experience of the Polish municipalities has shown that the network members may want to use each time the facilities of different municipalities-participants. In this case, the municipality can demonstrate to its colleagues its experience by showing operation of the competent authorities and demonstrating rendering of real services. In this case, the open part of the network meeting should be recorded and published in the project website. Publication of the open part of the network meetings makes it possible to use the innovative ideas generated during the discussions also by other municipalities which do not participate directly in the discussion. Publication of the open part makes it possible for journalists provide objective information on the municipal problems and their possible solutions. The open part of the meeting consists of the presentation made by the network coordinator, speeches of the invited experts, and discussion on the issues brought forward in this part. The closed part of the meeting is intended for discussing sensitive information. This part consists of network coordinator’s presentation, network participants’ presentations on solutions and future ideas, as well as of discussion on how to apply considered information. At the end of the meeting participants specify the issues to be discussed in the next meetings, and conclusions drawn during the discussion, as well as the tasks for municipalities-network participants for the next meeting. At the end of the first network, each pilot municipality submits in written and presents its version of municipal strategy developed by the inner workgroups under the influence of the network activity. There are two themes discussed in other networks during the course of the project. At the end of the theme, each pilot municipality submits in written and presents a plan for improving its activity developed in the inner workgroups under the influence of the respective network activity. Network coordinators in collaboration with the municipalities involved ensure result measuring of the plan during the next years followed by the end of the network theme. Results of the network activity are reported on a regular basis to the LALRG board and council encouraging also other municipalities to use both positive and negative experience. A benchmarking data base is a centralized tool for measuring success and failures of the municipalities. In order to describe performance indicators, methods should be specified for obtaining such performance indicators. 11) development of organizational structure for work performance and result measuring. describe the main indicators of the preferable state compared to the existing ones. 3) a ratio of young people in the work capacity age compared to all population in the work capacity age. In this case, it is easy to measure all indicators since there is primary information in the state data bases on each resident registered in the territory of the municipality. At the same time it is likely that those data may not be obtained without a special agreement as a local municipality is such a small unit for statisticians. Impact indicators describe the preferable state. To achieve the preferable state, the goals should be set. The municipality, therefore, should answer the question which factors contribute to the preferable impact and which ones prevent it. Both internal and external factors should be considered. One of the external factors is the state policy. If the state policy is focused on closing the external border of the EU, and reducing movement of the goods, services, people and capital across the border, it is difficult for the municipality of Latgale to develop its economics. In this case, an external factor should be affected by a lawful method – lobbying changes of the policy; the municipality together with LALRG should introduce central government and ruling political parties with Finnish experience where the existence of the border with Russia was turned from a drawback to a benchmarking advantage. Usually the municipality can not independently change all factors affecting vision implementation possibilities. Impact increasing or decreasing factors essentially contributing to or preventing achievement of the preferable state are set as the goals. describe approximation of the goals set by the municipality. There should be taken into account two essential circumstances. Firstly, goals often prevent the preferable state instead of enhancing it. This is due to decision-making in conditions of incomplete information. Politicians often incorrectly assess the facts due to influence of false economic and social theories, they are subjected to misinformation in media, etc. It is important, therefore, to measure both impact and approximation of the goal. Sometimes politicians think that preferable effect is not achieved due to the fact that there are no results from achieving the set goal. For example, the EU politicians think that the economic backwardness is related to the lack of diligence for achieving the goals set first in the programme of Lisbon (2000) and later in the programme of EU2020. It is not correctly assessed that the goals set by the European Commission can by their nature also hinder economic growth in the large areas. However, for effective, evidence-based management of the municipality, result indicators are absolutely necessary. Secondly, it should be taken into account a principle of 20/80 which is named after an Italian economist Vilfredo Pareto. In accordance with the Pareto principle, mostly 20% of the factors affect 80% of the result and vice versa regarding natural and public events. As the municipality usually does not have resources to change all factors, it should choose the most essential fifth of all factors, and they should be related to the goals of the municipality. Often a situation can be observed when the state tries to change exactly those 80% of the factors which affect 20% of the result, however, it does not do anything to make changes in the most essential factors. This indicates either inability or unwillingness to deal with the problem. Community is intentionally or unintentionally misled on the government’s activities. If the municipality wants to achieve real results, it is absolutely necessary to range the factors according to their importance and to select the most important ones. describe performance of the implemented activities for goal approximation. A part of the activities is carried out by implementing projects, another part – by operations of the permanent institution. Institutions in this case are both municipal authorities and capital companies owned by the municipality, as well as societies and foundations where the municipality participates. The project may be implemented both on one’s own (making a team from the municipal employees of various sectors for the project period), and as an outsourcing service. Each project usually has a certain goal and intended implementation time. It is easier to measure the project goal than the programme goal, as the project content is previously known, and the project is intended for implementing the particular content within the specified period of time. Project implementation often prevents achieving the goal if mistakes are made in the planning stage or if it is not convenient for politicians to show their voters their true intentions. Nevertheless, information on implementation is absolutely necessary for evidence-based municipality management. Also in this case, evidence-based information is critical for successful operation of the municipality. A common term – “performance indicators” – is used to describe implementation indicators, result indicators or impact indicators, or to describe the entire set of the indicators. Depending on the scale of the organization and its nature, these indicators may change the status. An indicator reflecting performance of a larger organization may have a status of a result indicator for a smaller specific organization. In contrary to performance indicators, a concept “input ratio” is used to describe resources invested in the job, goal or mission. Mainly, these indicators describe the amount of the budget allotments spent, however, they can also describe other materials or mental resources. Indicators are calculated using primary information on input, performance, results and impact. Efficiency should be minimized as there should be lower expenses and the same result. Productivity should be increased as a higher result should be achieved at the same expenses. The comparison indicator should be approximated to one as the benchmarking base usually is selected as a pattern. Complex indicators are obtained when applying mathematical calculations to the common indicators. Goals and missions are usually described by using complex indicators. The benchmarking data base is intended as a tool for improving operation, for better implementation of the goals and mission by providing such facts which the municipality could hardly obtain on its own. d) structured experience descriptions (obtained by structuring information of primary experience descriptions). 5) to arrange data in such a way so one could find them by selecting functional units and sub-functions arranged there. 6) There are three levels of accessibility applied to the data, depending on the level of accessibility granted by the data base administrator, one can obtain primary and secondary data of various levels. To conveniently use the data base, it shall have a well-considered table of contents to find the necessary entries. 6) time period the data refer to. This classification will enable users (network coordinators, representatives of the municipalities and ministries) to find the relevant entries easy and use them for solution of practical and theoretical issues. It shall be taken into account that the selected type of classification can impact the organization of the municipalities in future, insofar the performance indicators are used in governance of a municipality. An example is management of EU budget that is impacted by regional statistics of EUROSTAT to great extent. According to marketing concept of the municipalities, three large sectors and relevant subsectors are used. The success of a municipality in these sectors has impact on the opportunity to obtain and maintain power. The power in its turn enables implementation of administrative, economic and social intents of a political party or an association of electors. 3.6. Non-governmental organizations – business entities. The activity of a municipality mostly is organized by separating sector functions (external activity) and support functions (internal activity). However, on the basis of the character of the activity, this division should be analysed in terms of the goals; they usually have impact on activities in several sectors. For the activities to better serve achievement of the goals in a certain group, the activities of a municipality can be classified in seven large functional groups. 1.1. Organization of political functions that characterizes the political activity of the council of the municipality including involvement of civil society and individual inhabitants in decision making. 1.2. Services that describe development and delivery to customers free of charge or for charge of such products that are not commodities. The customer wishes to receive the products, they are not mandatory. 1.3. Infrastructure that provides for functioning of public and private sector using property owned by the municipality. 1.4. Administration that is implemented by regulations of a municipality and administrative acts that ensure public order and functioning of market economy, compliance with effective law and regulations of the municipality. 1.5. Facilitation of development that is performed by a municipality using its resources, ES funding and funding of State programmes and implemented in compliance with the ideas of the elected politicians regarding good management and fair social order. 1.6. Provision of information that is performed by a municipality on behalf of itself, the Republic of Latvia or EU, providing the inhabitants, visitors and entrepreneurs the information they are interested in, as well as promotion of municipal products in the market. 1.7. Support of enterprises and non-governmental institutions that is implemented by a municipality for the sake of economic and social development of the territory according to its ideas about priorities to be developed and taking into account the needs of the local community. 1.8. Municipal support functions that a municipality performs within its organization to ensure the above seven functions. Although regulatory enactments of Latvia hardly envisage shared responsibility, in fact almost all largest sectors in which municipalities take part are of shared responsibility. This took place as the Law “On Local Governments” in its initial wording was passed in 1994; the Law allowed the Cabinet of Ministers to regulate autonomous competency of the municipalities by Regulations (they were called permanent functions of a municipality at that time). Subsequently, the State “allocated to itself” part of autonomous competences of the municipalities in the laws of different sectors disregarding the principles of subsidiarity and proportionality (see Pūķis M., Pašu valdība). Thus almost all functions (autonomous functions of the municipality and State functions) gradually gained the character of shared responsibility. Only more detailed analysis of functions allows concluding whether the State or a municipality is responsible with its budget for non-fulfilment of some function. Until now, it is characteristic that institutions that draft laws, the Cabinet of Ministers and legislator do not comply with the shared responsibility procedures that are envisaged in Section 4 – Section 15 of the Law “On Local Governments”. As a result, almost all functions delegated by the State are officially voluntary initiative of the municipalities. The problems of shared responsibility have occurred due to legal nihilism, but the restriction as to the length of this text does not allow more detailed analysis of the problem. Therefore, the further division of competencies is carried out according to the feature that certain duties are imposed on the municipalities by law or undertaken by the municipalities, frequently with the purpose to help the State and eliminate shortcomings of the State performance in its territory. The Data Base Administrator is responsible for organization of the benchmarking data base; he or she has also other duties within the system. - acquisition of data from the partner – SDRDA. Changes in classification are agreed with the senior expert of LALRG. Rights to prepare calculations and input data are assigned to the Benchmarking Data Base Analyst and network coordinators subject to assessment of their skills prior to commencement of these duties. data available only for the Data Base Administrator and the Data Base Analyst, as well as the Data Base Expert and Senior Specialist of LALRG. During implementation of the project, the preconditions to be agreed with State Data Inspection and holders of State information systems are elaborated in details. The third group includes sensitive data; procedures for receiving those data shall be subject to participation in the relevant cooperation network. The fourth group includes information that shall be published only as anonymous information – grouping the data pursuant to the principles of statistic data prescribed by applicable regulatory enactments. To maintain the interest of the politicians about the benchlearning method, the cooperation networks shall be efficient. The participants of the network meetings should be convinced that each of the meetings have added value for each municipality. During project implementation, the cooperation networks are used not only for the benefit of the municipalities involved in the network, they are used also for approbation of the project solutions. Due to this the participants of the pilot projects are different – the selected municipalities may have different interests with regard to many issues. The participants of Norwegian KS networks are as similar as possible so that they can make similar conclusions as a result of discussions and the results would be better to compare. But in Latvia, the reaction of the pilot municipalities could be as versified as possible; this will allow evaluating the critical moments of the system, however, it may decrease efficiency. In Norway and Poland, information for network meetings is acquired from the network municipalities and statistics. In Latvian model, the number of data sources is considerably expanded. On the one hand, it provides important additional information. On the other hand, acquisition of additional information may require more time and resources. In Latvian model, each network meeting contains open and closed part. The advantage of the open part is the opportunity to popularise the benchmarking data base of benchlearning, share innovative ideas and explain the problems of the municipalities to wider part of the society. The advantage of the closed part is the opportunity to freely discuss possible solutions of the problems, use and discuss sensitive data of the involved municipalities. Striving to reach positive effects of both types of meetings, the meeting may take more time, thus discouraging participation of the leading persons of the municipalities. But it is the participation of the political leaders that has a decisive role in the Latvian model. In the Norwegian model, the representatives of the executive power (municipal administration) participate in the network meetings. It complies with the idea on focusing on the quality of the network results. In the Latvian model, mainly presence of politicians is intended; the representatives of the administration have a secondary role. It complies with the idea of focusing on marketing aimed at satisfaction of future customers demand. Idea of increase of quality is inefficient in the private and public sectors as it directs incorrectly (with an incorrect goal) the persons searching for the optimum solution. However, this idea is simpler to implement and frequently provides positive dividends to the politicians of the municipalities in short term. It is intended to deploy cooperation with the ministry and Central Statistical Bureau as the acquisition of the data should be based on mutual benefits. However, presence of supervising institutions may cause suspicion of dishonest use of sensitive information. In the Latvian model, it is intended to involve mass media in all stages of the project. A positive result of this idea shall ensure fair, balanced attitude that can be achieved by correct relations with the representatives of mass media. All above issues will be evaluated at the end of the project; necessary corrections will be implemented in further stages of the life cycle of the product. It shall be taken into account that almost half of the Latvian municipalities are intended to be pilot municipalities, thus the population for the purpose of research will be represented very well. 8) information on public administration is available only in the official language of a state; it restricts implementation of the best practice among the states. Each of the above problems is global or arises from the nature of a person as a social being. None of the factors can be eliminated by the Latvian model. But the negative impact of each factor may be decreased. Politicians elected in the council of a municipality are in the centre of democratic representation; they participate in the competition for the right to implement the representation. To implement good intents, they shall obtain power and maintain it. The first person to research these issues was the politician, scientist and writer of the Renaissance Nicolo Machiavelli. Unlike the hypocritical stories of earlier researchers on the politics implementing the will of the God, morality or interests of all people, the scientific approach of Machiavelli seemed shocking to his peers at that time and still shocks part of the society nowadays. The role of Machiavelli in the development of the politics and management as science increased only in the second half of the 20th century. Attraction of interest is based on comparison of potential benefits and losses. It is necessary to convince politicians that the benefits will be greater in practice – insofar the information enables to better do the work, but the basis of the political success is good work. The benchlearning system is the best way to exchange the experience how to decrease risks arising from better information and better knowledge. If politicians will not accept the new system, it has no chances. This model is elaborated „from bottom”; the municipalities will make all important decisions independently. Therefore unlike the Norwegian and Polish models, the main focus during the implementation of the project will be placed on convincing and encouraging the politicians. According to the theory of Max Weber, the bureaucracy has a tendency of self-preservation, and it is not orientated towards optimization of work. In case of Latvia, it is facilitated by the widespread delusion that employment is an absolute benefit. In fact, better employment improves social situation but delays the development of economics (also economics of the public sector). According to Public Choice theory, politicians, administrators and service providers function for the sake of their personal interests. This factor has to be taken into account. - reorganizations threaten the employees who have been independent, etc. This is why the administration will be suspicious about the changes of organization and measurement of the results. However, if any changes will be implemented the employees of administration will request detailed regulation in the regulations of the municipalities or even in the regulations of the Cabinet of Ministers. Unfortunately, normativism (passing and use of detailed regulations) is one of the main reasons of the inefficiency of the public administration. Excessive focus on regulations may ruin all good intentions that may appear using the benchlearning system. Due to this we cannot implement suggestions to introduce as many regulations as possible. 2) implement socially responsible increase of efficiency in the public sector, providing work and training opportunities to the employees who have to quality to work in the private sector. Special attention shall be dedicated to involvement of the administration in the process of explanation of the decisions and proposals, the professionals should be involved in this as much as possible. Sector ministries acquire large amount of data from municipalities, entrepreneurs and inhabitants. Most part of such data remains unused, only an insignificant part of them serve for decision-making. At the same time, the municipalities are loaded with the duty to acquire data for the ministries. If the principle of a coalition government is applied (as it has been in Latvia since 1993), the cooperation of ministries is hardly possible; most often they compete among themselves. It complies with the competition within the coalition – when thinking about next elections it is advantageous to show “own” ministers in good light and the ministers of the partners of the coalition – as unskilful and unsuccessful. The Cabinet of Ministers become an “attachment” to the Coalition Board in which the political parties fight for most advantageous positions to present their representatives to the electorate. Governance of the ministries is also an administrative resource – there is an opportunity to use the information about the work of ministries in the mass media and in meetings to propagate own people and ideas. Supervising institutions, like the Corruption Prevention and Combating Bureau (KNAB) or the State Audit Office of Latvia usually are involved in the competition on behalf of some party, they do not combat hiding of information from other ministries that inevitably cause doubling of functions, useless spending of time of clerks and employees of the municipalities, is a reason for useless decisions of the state administration due to false information. Biased propagation opportunities to great extent are based on information that is collected and compiled under management of the ministry. It is this factor that opposes the exchange of the data. The information specialists that have been developing information policies since 1991 have struggled for the opportunity to exchange data and ensure their compatibility. Each time when they try to develop and strengthen mutual cooperation, clerks oppose in all possible ways. They look for and find thousands of reasons why the information must not be shared. It is illogical for the municipalities to double the information if it is collected by the Central Statistical Bureau and sector ministries. It would be good to receive for the benchmarking data base the data at disposal of the central government insofar they describe the consequences of the municipal policies, administration, service provision, provision, development and facilitation of the infrastructure and to use the indexes calculated on the basis of such data for measuring of the success of municipal strategies. A municipality has a duty to provide the information requested by a state administration institution free of charge to the person requesting such information. The same is true with state institutions – they have the duty to provide information to the municipalities (Section 14 of the Law “On Local Governments”; Section 54 of the State Administration Structure Law). However, provision of such information on mandatory basis takes place in the procedures prescribed by law. The law usually delegates the detailed procedures for provision of information to the secondary legislator – the Cabinet of Ministers. Voluntary provision of information is possible in cooperation (on the basis of a cooperation contract or without it). In practice there is cooperation between the departments of the ministries and the municipalities. Parallel to their autonomous functions, the municipalities carry out several (mainly insignificant) state functions on behalf of the Republic of Latvia. The departments of the ministries are interested to collect and analyse information in these issues. Thanks to the activities of the legislators in 1994 when the proposals of LALRG to the Law „On Local Governments” to explicitly separate the autonomous competency of the municipalities from the competency of the State were rejected (see Pūķis M., „Pašu valdība”). Now it is difficult to understand the principle of shared responsibility between the State and the municipalities in the laws and regulations of the Cabinet of Ministers. There is no single lawyer in Latvia who could answer the question – how the state and municipal functions are shared. Therefore, to be on the safe side, the ministries collect information about all functions – state and municipal – of „their sectors”. The ministries collect data purposefully – according to the goals of Government Action Programmes – and analyse them for these purposes. The ministries are not interested in strategic and tactical objectives of the municipalities. Therefore, the indices calculated in the ministries do not comply with the goals and missions of the municipalities. 2) the primary data grouped according to agreed formulas. The ministries can provide the data the provision of which is not forbidden by the law or the regulations of the Cabinet of Ministers. At the same time it is a duty to deliver to the data provider the data that it has provided itself. Therefore the ministries can be motivated mainly on the basis of mutual benefits – for the data compiled by the ministries, we shall offer the data processed within the benchmarking data base that are valid for development of the policies of the ministries. Buying of data from the ministries in essence contradicts the existing regulation as the data shall be given to the municipalities free of charge. Some costs (for instance, costs for software licences) may be incurred. Some international human rights are included in Satversme. It does not cancel the duty of Latvia to comply with other binding fundamental rights (not included regulations, the rights of the municipalities). However, inclusion in Satversme additionally motivates clerks and employees of the municipalities to comply with these regulations. “96. Everyone has the right to inviolability of his or her private life, home and correspondence. The regulation of Satversme in fact contradicts the norms defending freedom of receiving information. It is considered that public officials (including deputies of the municipalities and senior officials of executive power of the municipality) have no right to inviolability of private life – each journalist has the right to obtain and distribute practically any information of the private life of such persons „in the interests of the society”. At the same time, the information that is necessary for fulfilment of the functions of the municipalities frequently cannot be obtained. The inviolability of the private life is granted further by the Personal Data Protection Law according to which personal data can be distributed only on consent of a person or in the events explicitly specified in the law. The norms arising from the Directive of the European Parliament and Council 95/46/EC of 24 October 1995 on protection of persons with regard to processing of personal data and free movement of such data are included in the above Law. Unreasonable norms for protection of private life are stipulated not only by the above laws, but also by the laws of respective sectors. Thus a social worker of a municipality does not have information about mental diseases of the persons they take care of or criminals. Such information would allow making of better decisions for the interests of the inhabitants of the respective municipality. There are quite a lot of issues when it is necessary to process primary information about movement, employment and success of individual persons. For the municipality, such information would allow to implement purposeful development, social policies and policy for facilitation of the entrepreneurship. They do not need personal data, but they need to know the results that describe the inhabitants of the respective municipality in aggregate. Unfortunately, following joining EU and after Administrative-Territorial Reform, the data on rural municipalities and towns are not available (with very few exceptions). It means that on developing the benchmarking data base and working within the cooperation networks it will be necessary to actively promote the rights of the municipalities to receive the necessary information. The Commercial Law establishes the rights of a merchant (in this text usually the international term used also in EU – “entrepreneur” – is used; the specific term of the Latvian legislation – “merchant” is not used) to a commercial secret. The laws provide for different explanations of a commercial secret. The most elaborated definition is given in the Law “On Accounting” that states that for accounting purposes, information and data, which in accordance with the existing regulatory enactments is required to be included in the reports of an undertaking, shall not be deemed to be commercial secrets, but all other accounting information of an undertaking shall be deemed to be commercial secrets and shall be accessible only for audits, the tax administration for verification of the correctness of tax calculations, as well as other State institutions in cases provided for by legislative enactments. Not only accounting data can be a commercial secret. The Commercial Law establishes specific requirements – features for information or matters due to which a merchant can assign the status of a commercial secret to such information or matters. The status of a commercial secret may be assigned to matters of economic, technical, scientific nature and information, which is entered in writing or is not entered. Part of data used for statistics exceeds the information provided in the reports, and they have the status of a commercial secret. The State Statistics Law prohibits publishing of such data that allow identification of a commercial secret with regard to an individual enterprise. To improve management of the enterprises owned by the municipalities, it is necessary to compare such enterprises among themselves. As one of the data sources are public annual reports of the enterprises. The expected changes in public capital companies and management of capital shares envisage mandatory medium-term strategies for such companies. Thus, the municipalities participating in the cooperation networks will be able to compare the data of their companies in a much wider context. Summary of data that are not a commercial secret but are necessary for measurements of municipal strategies will be a topic for discussions in the process of development of the benchmarking data base. 8) performance of scientific research in the field of statistics, business tendency surveys in the branches of national economy, as well as development of prognosis of statistical indicators in accordance with the National Programme of Statistical Information. Provision of information for the needs of official statistics is considered a mandatory obligation that shall be fulfilled free of charge. The institutions and organizations that are financed from the State budget or municipal budgets provide to CSB information regarding their properties, lands, buildings and use of them, provided services or amount of performed work, number of employees, their composition, remuneration for work and work conditions, investments, received budget funding, as well as other income and their use, assets and liabilities and their movement. Additionally, the municipalities provide to the CSB information about their budgets. “(1) Statistical data shall be considered confidential if they directly or indirectly allow for identification of the private individuals or State authorities regarding which personal statistical data have been provided. (2) The confidential data collected for statistical purposes only, may only be used for making of summaries and grouping of data, analysis of economic and social phenomena and processes. (3) The Central Statistical Bureau and other State authorities producing official statistics shall take the necessary administrative, technical and organisational measures to ensure the confidentiality of individual statistical data, to prevent unauthorised access to information, distortion or dissemination thereof, unintentional or unauthorised destruction. The CSB data can be used as benchmarking data base insofar they describe the scale of EU, national or six NUTS 3 regions. There is a lot of primary data at disposal of the CSB; they could be excellent to use for calculation of performance indicators for the municipalities. Unfortunately, public data are available mainly for NUTS 3 regions or the whole Latvia. Only in some cases the data are found regarding the territories of municipalities. Since joining EU, major harm is done – there is no information available about the regions that described the economic development of different territories of Latvia very well. After the Administrative-Territorial Reform, there are no statistical data available for urban and rural territories. Summarized data can be used for scientific research. Thus, it would be possible to receive personal data from the CSB unless they have parameters identifying a person. During implementation of the project, there will be discussions with the CSB regarding such options. Certain problems are caused by lack of understanding of the work of a municipality and the legal status of a municipality. Supporters of State rights school in Latvia use to be certain that the municipalities are in hierarchy subordinated to the Cabinet of Ministers (see Pūķis M., Pašu valdība). There are opinions that there are no municipal policies – the municipalities perform economic activities in the interest of inhabitants according to the Regulations of the Cabinet of Ministers. Both of these delusions make it difficult for the municipalities to function in real circumstances and in actual system of global, national, regional and local laws. - pupils and children of preschool educational establishments that can choose another educational establishment in the territory of other municipality. Even more significant competition issues are related to local protectionism (insofar it does not impact common market of EU, in EU legislation protectionism in the form of municipal support is allowed) and facilitation of local entrepreneurship. Normally, municipalities promote the interests of its entrepreneurs in national and global markets and compete with other municipalities in this area. If there is competition, there are also lawful rights to commercial secret or restricted access information. Therefore, the council of the municipality is entitled to decide issues that are not to be discussed in public and enable achievement of better results in the interests of inhabitants. Commercial secret of a municipality can be justified like the secret of the State. The system shall ensure that the restrictions for distribution of information specified by the municipalities are complied with. The law, policy documents, experience descriptions regulating the municipal system usually are drafted in official languages. Only in EU alone there are 24 official languages. Most of the policy documents and new regulatory enactments are discussed in 2 languages – English and French, but the final products in terms of statistics and experience of the municipalities are found only in official languages of each state. This situation considerably bothers compilation of the best practice. Therefore, initially the information in English and Russian will be used as the network coordinators know these languages. After some time the possibilities to receive and compile information about good and bad examples of performance of the municipalities should be expanded so that the websites of the municipal associations in French, Spanish and German could be used. In Latvia, there is a problem with two information spaces – Latvian and Russian. Although the official language is one – Latvian – the other language for communication in majority of municipalities is Russian. To increase the understanding of municipalities in Russian speaking communities (there are no municipalities in Russia in the meaning of the European Charter of Local Self-Government, and it was not an obstacle for Russia to ratify all paragraphs of the Charter) it is necessary to prepare some information also in Russian. So far municipalities mainly planned its development. A good development plan (programme, strategy) was focused on the maximal benefit for the municipality, however, in order to achieve the maximum benefit, the action of the municipality upon accepting the action plan had to significantly differ from the officially declared policy. Actually, municipalities plan in accordance with a “menu principle” (see Pūķis M., Pašu valdība). There are events as much as possible included in the development documents which could be implemented in the territory of a municipality and which could give any benefit to the inhabitants or entrepreneurs. It is due to the centralized funding system established in Latvia which results from the interests of the governing coalition and which hardly takes into account the duty of state regional development. Mainly, state investments depend on the sectoral policy. State regional development is one of the sectors which for already tens of years is left in the second plan of the central government. Most of the municipalities practically do not have any chances to receive centralized funding for regional development, therefore other possibilities should be found. Municipalities should act in accordance with the laws existing in the state and unwritten practices. Funding for development is sought for in different ministries which act in accordance with the interests and criteria of the sector. In order to receive the funding in the territory of a municipality, there should be a respective entry in the medium-term and long-term documents of a municipality. Municipalities can not affect decisions of the central government on funding priorities, it can participate in implementation of such decisions. The main condition – there should be an issue written in the development programme and development strategy of a municipality which due to conjuncture has fallen in the scope of interest of a certain ministry. The municipality which has better complied with the “menu principle” has better chances to get funding for development in its territory. Therefore, official planning documents under no circumstances may be closely related to available resources, in fact, there should be provided as much flexibility as possible. The system established in the beginning of 90-ties causes purposeless activity, contributes to squandering of the budgetary funds, natural and human resources. In order to have quasi purposefulness, European and national politicians apply a principle of concentration, trying to concentrate their chaotic activities at least in several territories where a greater effect could be observed. An example of such an ideology is a principle of “poliycentral development” which in its practical application contributes to depopulation of the territory of Latvia. Therefore municipalities should look for the funding to ensure purposeful development which could more comply with positive structural changes in each administrative territory, ensure higher labour productivity and increase welfare of inhabitants living in the territory, further the economy based on skills and knowledge. It will not be possible to implement good social ideas in one of the poorest Member States of the EU. That is why along with the formal documents requested by the government (which are not cancelled) municipal politicians are encouraged voluntarily to develop and implement genuine strategies in compliance with the interests of the inhabitants of their territory, and to relate the activity to the municipal resources intended for the genuine priorities. Marketing ideology of a municipality adopted from the business management is suitable for such a purpose which elements are discussed during the project in all thematic cooperation networks, especially in the first network. In accordance with the proposed ideology, all officially requested documents are considered within the context of the marketing strategy of a municipality as the event implementation elements of the marketing strategy of a municipality (which is developed freely, in accordance with one’s own initiative without central government’s regulations). Development of the Latvian benchlearning model is intended as a tool of the municipalities for implementing their own interests. It fills in the niches creation of which by each municipality individually would be inconvenient and which may be used by each municipality taking into account its specificity. The bencmarking data bases will be elaborated gradually, its content largely will be determined by the decisions of the politicians of the municipalities involved and by those which will be involved in the pilot projects. Scientific research implemented during the project will contribute to content improvement. Therefore, general possibilities provided by the data base and cooperation network for municipalities in future are described there. 5) once the most influential factors are selected, the goals should be defined which approximation affects the vision implementation the most, similarly, during the mutual discussions, it is easier to determine objectives which will help and not prevent goal achievement. Based on the analysis, there is an action program for goal achievement made consisting of specific activities to be carried out to change the selected key factors. It is helpful to discuss the ways to make the organizational structure which is adjusted for work execution and result measuring during the mutual discussions. In order to manage the action programme on the basis of the facts, a municipality should have measurements for approximation of the mission and goals. Contribution of the benchmarking data base is important exactly in this area. Network coordinators will inform on the possibilities of the benchmarking data base in the area of measurements during the cooperation network meetings. The main emphasis is put on the indicators not found either in the budgets or statistics, but which describe goal approximation. To implement medium-term development measures it is suitable to have a medium-term budget instead of a traditional annual budget. So far municipalities have not risked introducing independently a long-term budget, and the central government is more preoccupied with financial discipline instead of development. Therefore, discussion of the variants of the medium-term budgets and various organizational and legal issues related to them in the cooperation networks will be of great importance. A strategic approach should be implemented not only in relation to a municipality in general, but also to development of the individual sectors and authorities. It means that not only an individual improvement should be considered, but also the fact how this improvement affects the goal of a municipality. In such a situation both a discussion in the cooperation network and measuring using the benchmarking data base will be of great help. Elaboration of the data base should be related to the measurement of the performance indicators. To ensure development of the marketing strategies, proper indicators should be found. Scientifically based theory on motivation of politicians and civil servants (or employees of the municipality) is the public choice theory. In accordance with this theory, each politician and civil servant act in compliance with their personal interests. These personal interests should not be perceived primitively. People working in politics and civil service basically may meet the basic needs, and their interests normally are not related only to meeting the basic needs – the following issues as security, social needs and social recognition, self-improvement are in the circle of their focus. Working conditions (legal and economic environment) determine that the municipal staff should succeed in fulfilling their mission – to act in the interests of the inhabitants of the territory – to meet their personal needs. Listed benefits do not provide a full spectrum, however, the above list may be used as a basis for bechmarking data base elaboration during the initial stage of bechlearning model development. It means that the indicators for impact measuring should be found and summarized describing success or failures in achieving the above vision elements. It is anticipated that certain municipalities will focus on gaining success only in some of the above areas for a medium term. Result indicators should describe the goals of a municipality which are directed to approximation or prevention of the preferable impact. Sometimes goals are selected without carrying out an independent analysis, the direction of activity is selected only because Brussels or Riga came up with it, mechanically adopting the direction of the activity suggested from the above. Sometimes one or another economic or social theory is perceived uncritically. Sometimes such an approach also gives good results if a “partly acceptable” solution is valid also in the territory of a municipality. However, a municipality can adjust available external information to the assessment of its own internal situation, and in such a case it is possible to choose far optimal development model. Such an approach corresponds to division of labour – within the scale of European authority, the management is implemented in accordance with the medium European needs, within the scale of local authority, a municipality focuses on meeting certain, local needs. The quota principle proposed by LALRG (to divide a part of the national investments through the entire territory of a municipality in accordance with quotas) was also focused on dealing more efficiently the with European and national objectives. It could be achievable if it were up to a municipality itself to choose goal achieving means for a larger area within its territory. Goal definition starting point is the factor analysis. Factors affecting vision implementation should be clarified. The most essential ones should be selected from the ones affecting approximation of the vision the most. In accordance with the Pareto 20/80 principle, most often 20% of the factors affect 80% of the result (see Pūķis M., Pašu valdība). If a municipality selects a vision which essential factors depend on the external environment and are not significantly affected within the framework of municipal competence, the municipal mission is not defined correctly. Vision elements which do not depend on a municipality, should not be included in the priority list. The priority list should include the visions which municipality can affect. The answer to the question – how to affect the essential factor which largely influences vision approximation – is the essence of goal definition. To achieve the goal, an action programme should be made which success describes goal approximation – result. It is important not to confuse goal approximation indicators with implementation indicators describing the activity. The municipality is likely to make mistakes at all levels – defining an independent or harmful vision, setting goals which prevent from the intended vision, setting objectives which in fact prevent goal achievement. However, decision-makers should receive information on mistakes as quickly as possible. Therefore, goal measurement should be clearly separated from activity measurement. For example, substantiating the Administrative-Territorial Reform, it was promised (a vision was made) that all municipalities will be able to ensure services envisaged by law. Already several years before the end of the local reform, it turned out that the vision certainly will not be achieved. There was even a goal set to move away from the vision, specifying baskets of services in a centralized way and introducing “polycentric” development. It meant a complete fiasco of the reform – the vision should be adjusted and reform efficiency assessed. Unfortunately, it was not done. Such an action in no way complies with the strategic management principles. With a purpose to elaborate the benchmarking data base, possible factors affecting achievement of the above vision elements are listed in Table 2. A municipal goal can be set for each factor. It is recommended to set a goal only if a municipality can significantly approximate such a goal. Upon designing the benchmarking data base, the goals of the third column may be taken as a basis and matched with the result indicators describing approximation of those goals. During development of the pilot projects, the content will be extended and updated. By dividing the network cooperation meeting in the open part (to be transmitted online) and closed part, a wide circle of participants may be involved in the network themes at the same time ensuring an open and efficient discussion among the network participants resulting in the work improvement plan of the involved municipality. Proper models can be developed for information obtaining from the budget data of a municipality for preparing result indicators and impact indicators. It is possible to agree with the ministries on data exchange on mutually beneficial terms excluding duplication in data collecting (LALRG would request from municipalities the same data which are requested by ministries). It is possible to agree with CSB on receiving primary data for the municipal and research needs. The benchlearning system will obtain a support from municipal politicians in the major part of the municipalities. Network meeting division in the opened and closed part. Development of the marketing strategy of the municipality on a voluntary basis and its adoption by the marketing council lead by the chairman of the council of a municipality. Structuring of good practice descriptions of the municipalities and their usage for solution patterns. Acquisition of good practice descriptions from the Internet. Data obtaining from the ministries on the basis of mutual benefit. Primary data acquisition from CSB. Setting up of the municipal businesses with a purpose to re-structure the local economy.